Jass Hospitality is a modern and trendy property located in Sushant Lok Phase I, Sector 43, Gurugram. The hotel is a 5-minutes drive from Shri 1008 Mallinath Digamber Jain Temple.The decor of the room is classy and bright. 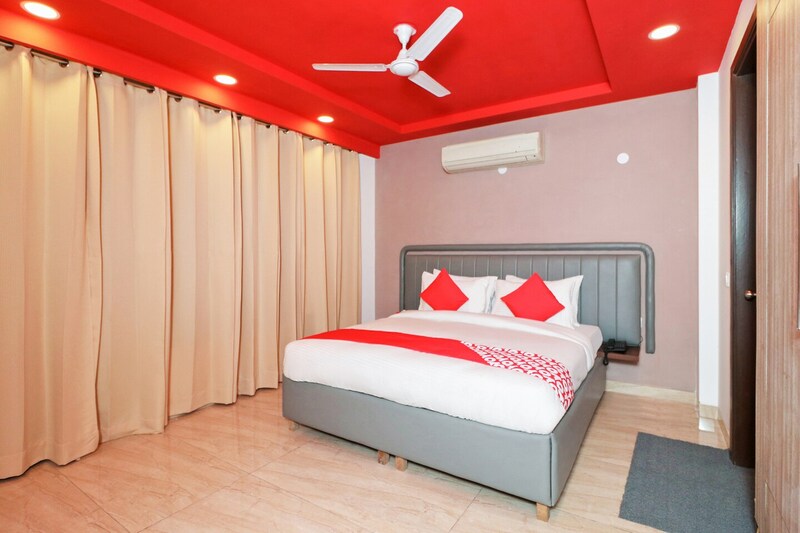 Done up in the rich and radiating shade, the colors add to the liveliness of the property.Each room comes with free Wi-Fi, King-sized bed, TV, and AC. The hotel has a laundry facility, kitchen, power backup, parking facility and accepts card payment. The property is wheelchair accessible.The restaurants in the close proximity are Mugh-Al-Palace, Falhari- A Fruitful Habit, Midnight Sutra, Prince Ki Rasoi, and Mirchi Dhaba.